Today my wife decided she would sit on the back deck and grab a "few" rays. After while she decided that wasn't working so she decided ot cut the grass and do some yard work in a tank top. It was not long after dinner it was discoverd that she looked like she had did the yard work on the face of the Sun. 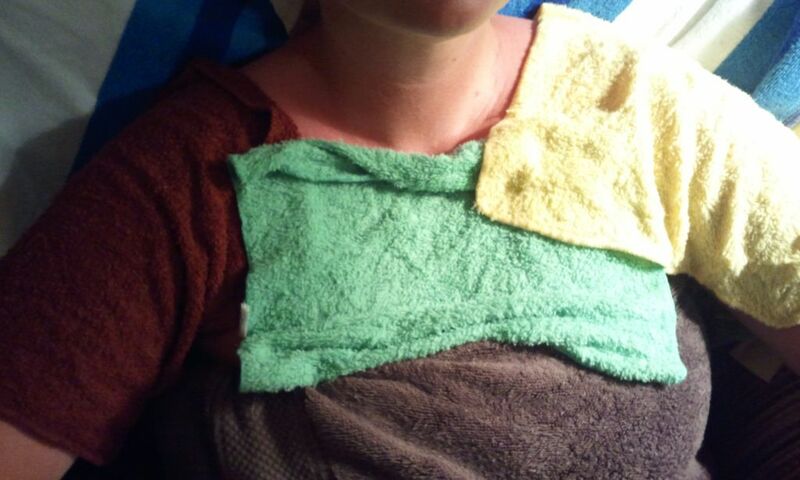 Here she is with her vinegar soaked wash cloths "enjoying" her tan. This is the picture of the day.